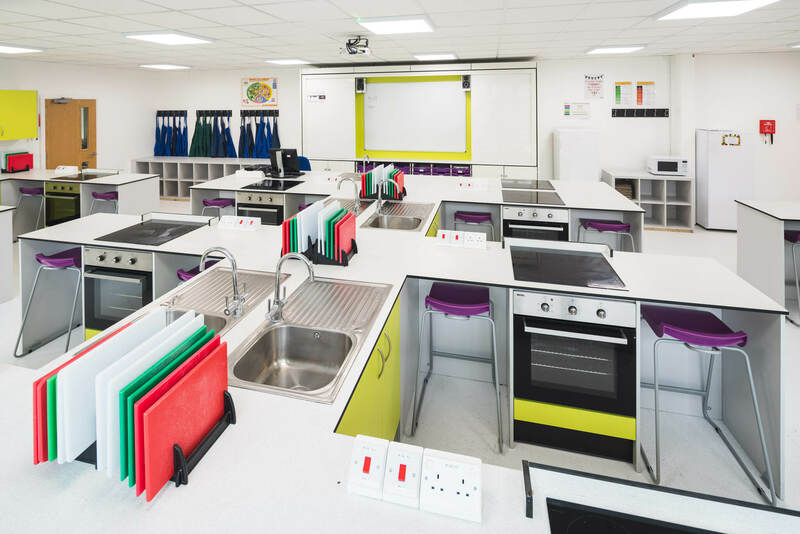 Tomlinscote School, in Surrey, commissioned Pinnacle Furniture to complete the refurbishment of their existing Food Technology room and prep room. 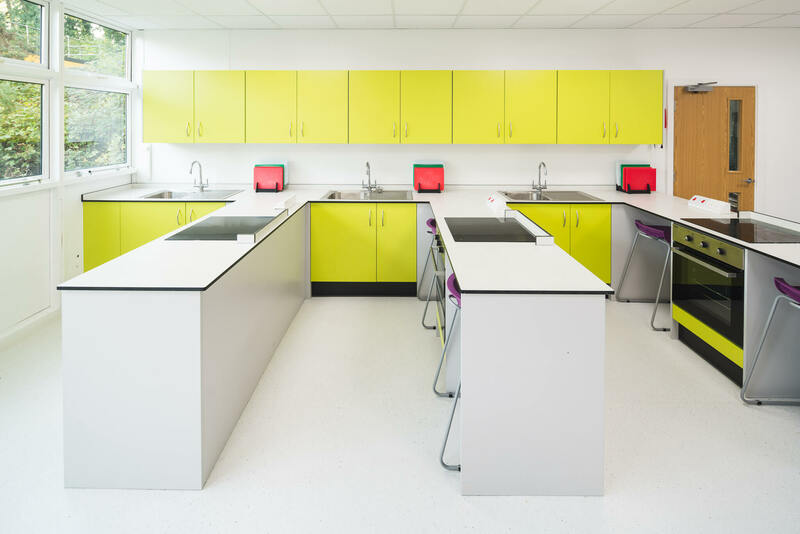 The school envisaged bright and modern spaces with each of the workstations facing the front of the room. Tomlinscote School, nestled in Surrey, educates pupils from Year 7 through to Sixth Form. The School prides itself on the high standard of education they offer, which is evident from their ‘outstanding’ rating from Ofsted. 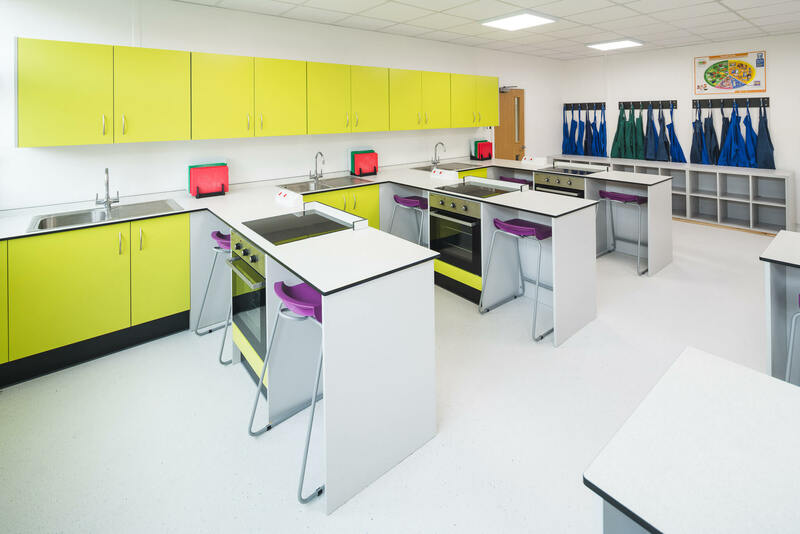 The School appointed Pinnacle Furniture to refurbish their existing Food Technology room and the prep room. 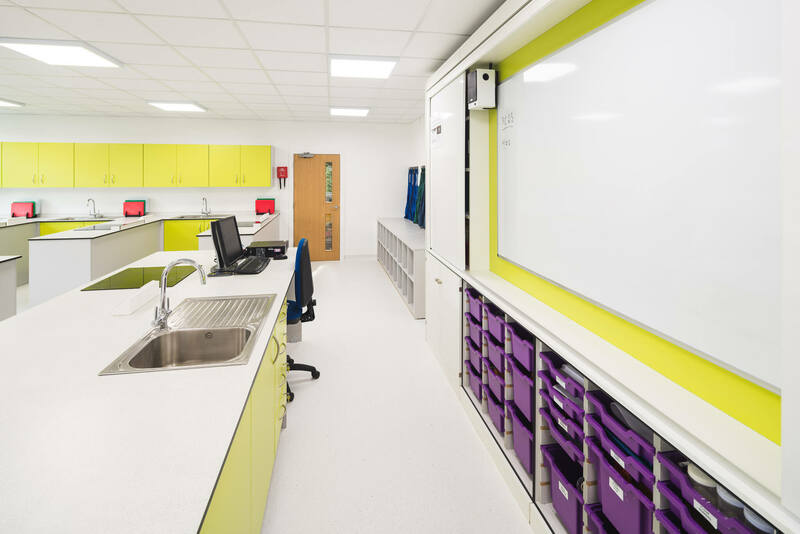 The areas looked tired and needed a fresh lease of life, with a modern feel and workstations which all faced the front of the room. 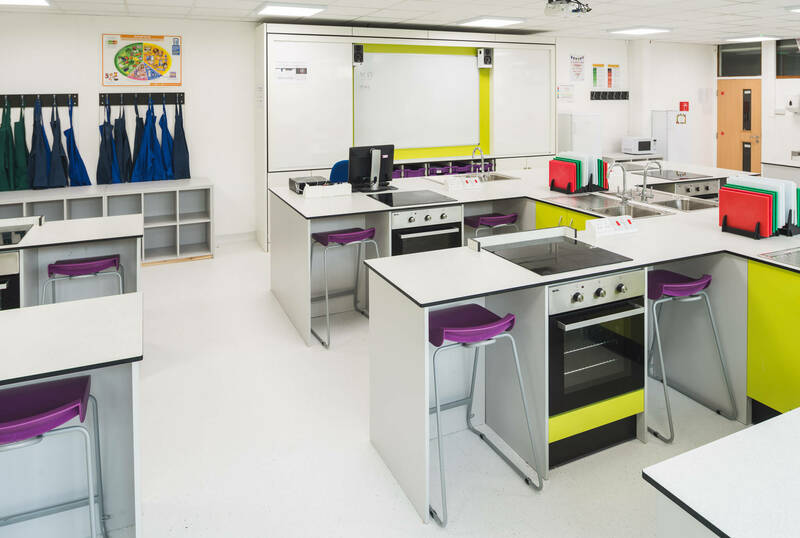 Pinnacle built practical workstations using our durable Capacity Storage range and added solid grade laminate (SGL) for the worktops and for the back of the workstations to prevent hot pans being accidentally knocked off. 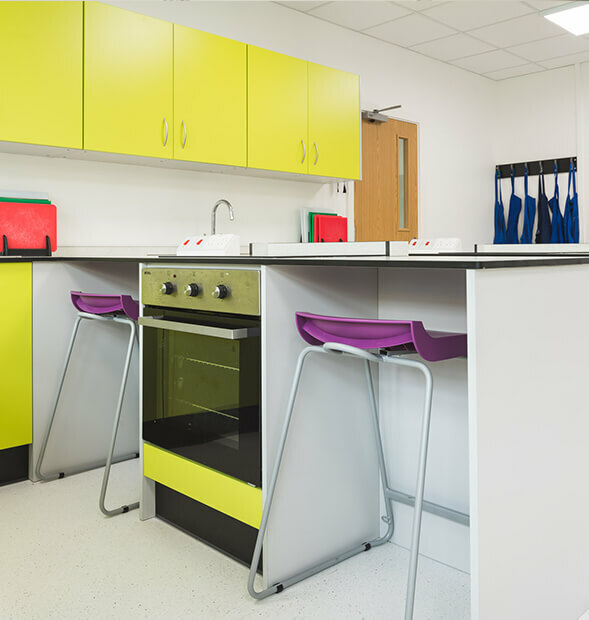 We used a vibrant yellow finish for the cupboard doors and supplied contrasting purple Postura Plus stools. 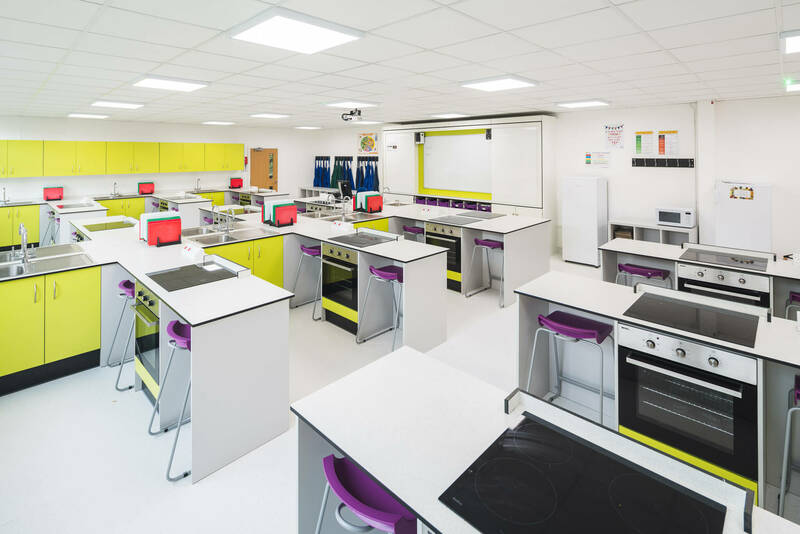 For each workstation, we fitted in integrated multi-functional fan-assisted oven with an electric grill and electric induction hob. 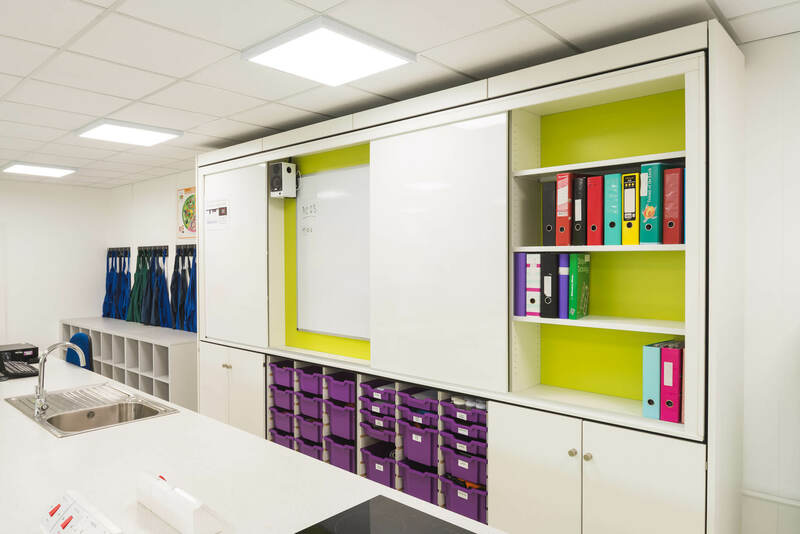 A TeacherWall was installed with shelving, trays, sliding dry wipe doors and cupboards. 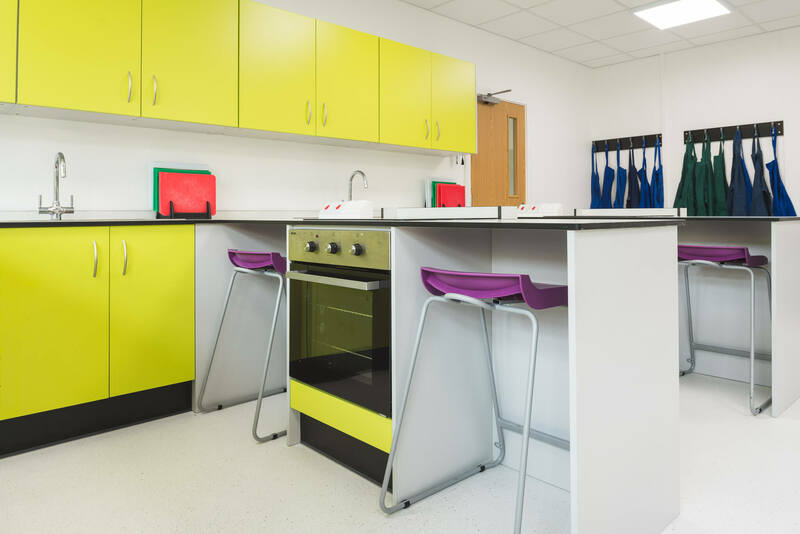 Pinnacle built a demonstration station for the teacher at the front of the room using our Capacity Storage range in yellow and white. 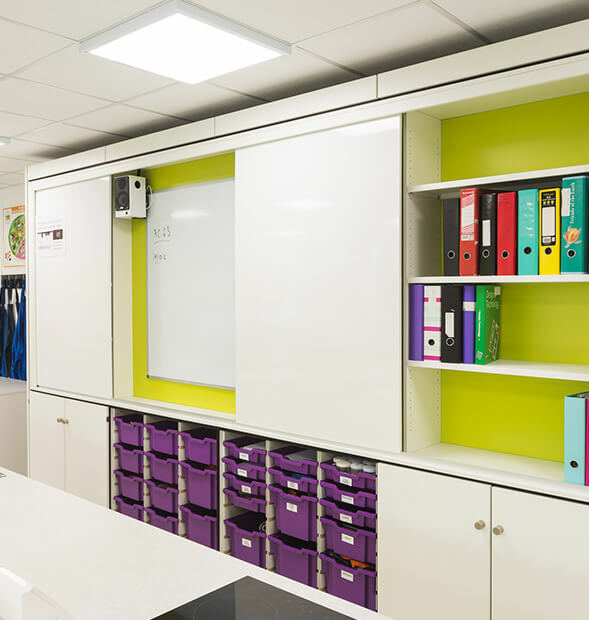 We created a handy bag storage system to ensure that walkways and workstations were kept clear.